For fun, laughter and a juggling good time check out Stevie Spud’s children’s party & event entertainment packages! 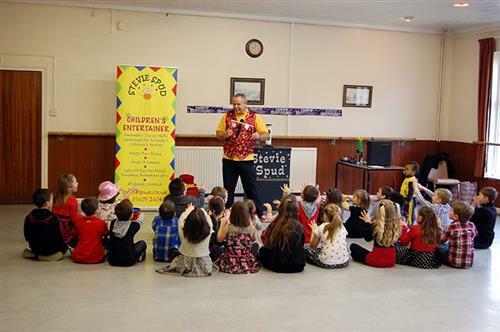 From birthday parties, christenings and other special occasions to larger public event entertainment Stevie Spud delivers a magical performance that’s guaranteed to amuse and amaze! With Stevie Spud you can not only be assured of a fun-filled party for all ages, but a happy stress free experience for the grown-ups too! 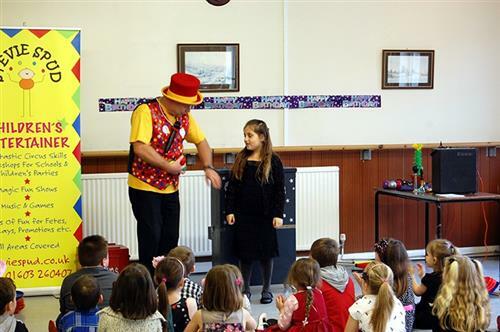 Choose from a one or two hour party package which is crammed with smiles and amazing activities – Both options include a full 45 minute show with magic, juggling, music, games and Stevie’s own unique brand of child-friendly clowning around! All of your party guests will get a chance to participate, with the birthday boy or girl being the star of the show, receiving a super birthday card and balloon model as a reminder of their unforgettable day! 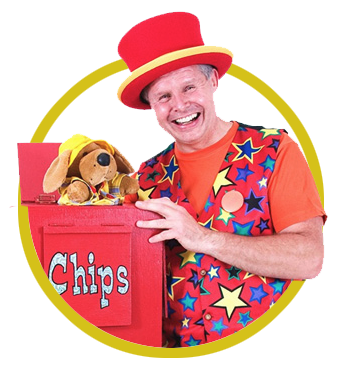 Stevie’s Under 5’s Funtime Show is perfect for parties, as well as pre-schools and nurseries, with gentle fun for little ones – not to mention a special guest appearance by Stevie’s cheeky but loveable friend, Chips! All shows can be varied for repeat bookings. Stevie Spud’s Circus Skills Workshops are the perfect idea for parties, events, schools, Brownies, Guides, Beavers, Cubs and Scouts – even a novel and entertaining alternative to team building days for businesses! Participants get to experience a variety of astonishing circus skills including juggling, balancing, plate spinning, diablos, flower sticks, pedal-go’s and stilts. Suitable for all ages, children and adults benefit from an enjoyable and confidence building learning experience. Full tuition and equipment is provided with Stevie offering flexible supervision at all times. 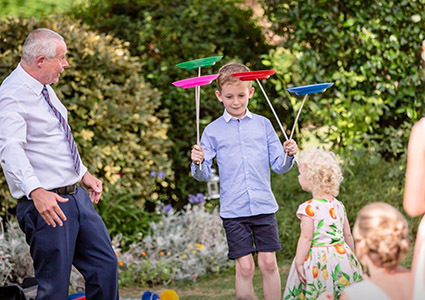 Circus Skills Parties are suitable for children aged 7 and over, offering a great alternative to traditional party entertainment. 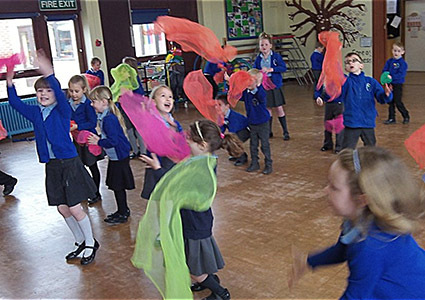 90 minutes of workshop fun enables everyone to try their hand at a host of simple but astounding circus skills, including feather balancing and scarf juggling – all to the sound of circus tunes! To top things off the party boy or girl gets to be the star of the show by helping Stevie Spud with a special dazzling demonstration! Keep the crowds at your public event entertained with Stevie Spud’s unique mixture of clowning, juggling, performance magic and balloon modelling! Perfect for fetes, fun days, galas, fairs, garden parties, business openings and any occasion where children are likely to be present. 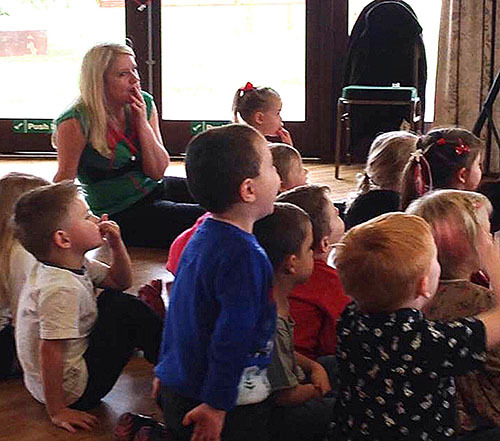 From fixed shows or walkabouts to “have-a-go” circus skills workshops, Stevie provides a host of engaging, age-appropriate antics to keep everyone entertained. Event entertainment can be tailored to your requirements with a charming mixture of silliness and circus skills suitable for all ages. 01603 260407 or 07882 706 277.